Kiev (Ukraine) 16th October 2018 – MAG Cinema, the largest speaker and amplifiers manufacturer in Eastern Europe, announced today its worldwide successful introduction of DANA (Direct AES and Network Amplifiers). Designed specifically to be used with the MAG cinema speaker series. 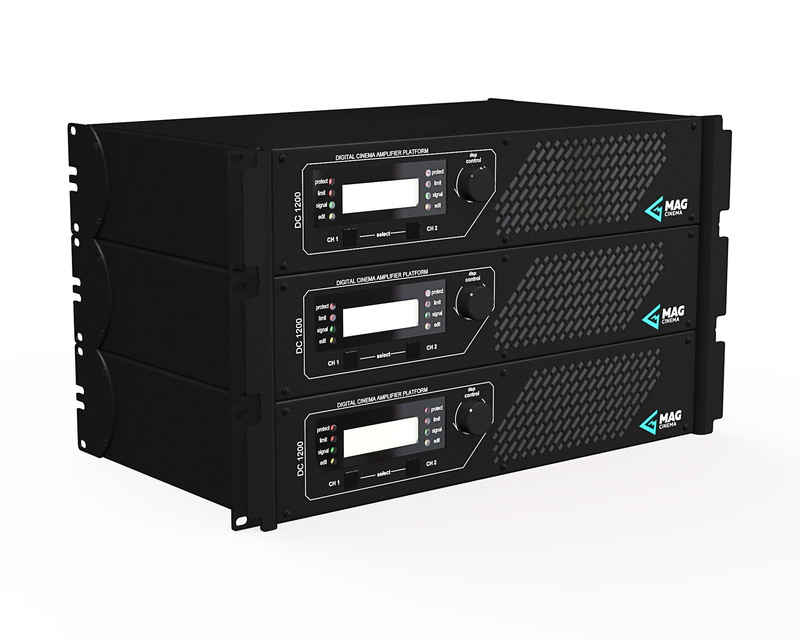 MAG DC series (DC 600A, DC 1200A, DC 1208A and DC 3000A) is a new versatile signal distribution and amplification platform for cinemas. It is an innovative approach allowing a simpler cinema system design without the necessity for any additional cinema processor. Based on many years of experience in cinema installations, DANA features smart, efficient design while providing advanced possibilities for theaters. These amplifiers include a modern DSP, ready speaker presets, remote control & monitoring via dedicated software suite and digital AES/EBU input capability, that can be used for direct connection with the cinema server and integration with TMS.